Ethelwyn Harmson was born on 6 April 1907 in California. John William Harmson and Dorothea Maier appeared in the US federal census of 15 April 1910 in Sacramento, Sacramento County, California, at 1233 H Street. Other members of the household included Ethelwyn Harmson. John William Harmson and Dorothea Maier appeared in the US federal census of 1 January 1920 in Sacramento, California, at 1233 H Street. Other members of the household included Ethelwyn Harmson. John William Harmson and Dorothea Maier appeared in the US federal census of 1 April 1930 in Sacramento, Sacramento County, California, at 720 13th Street. Other members of the household included Ethelwyn Harmson. She was a student, according to the 1930 census. 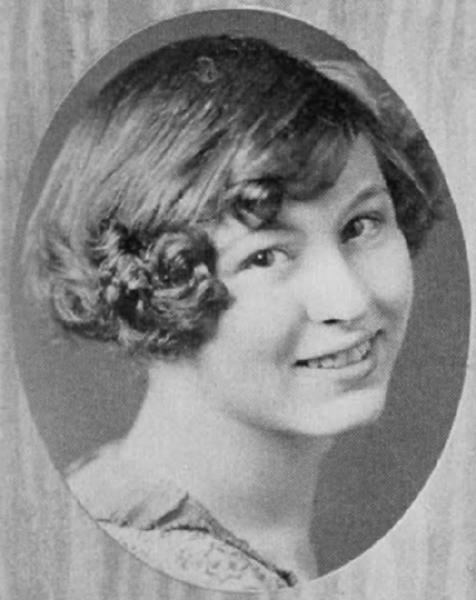 She was educated at San Francisco State Teachers College graduating May 1931. She married Sumner Ellis Perkins. Sumner Ellis Perkins and Ethelwyn Harmson appeared in the US federal census of 1 April 1940 in Whittier, Los Angeles County, California, at 1706 Hadley Street. Also in the household were children Gloria R. (age 5) and John E. & Arthur T. (both age 1). In 1935 the family was living in Antioch, Contra Costa County. The SSDI lists Walnut Creek, Contra Costa County, California, as the last residence of record of Ethelwyn Harmson. Ethelwyn Harmson died on 22 March 2001 at age 93 in Walnut Creek, California. Sumner Ellis Perkins became a widower at her death. She was interred at Odd Fellows Cemetery, Sacramento, California.